KLONK Map Measurement uses lines and shapes to check one or several distances and estimate sizes of different features on Earth. With Map Measurement, you can measure the length on the ground with a line or polygon. Fast & Easy measure distances and areas on the ground on earth. Map Measurement uses lines and shapes to check one or several distances and estimate sizes of different features on Earth. 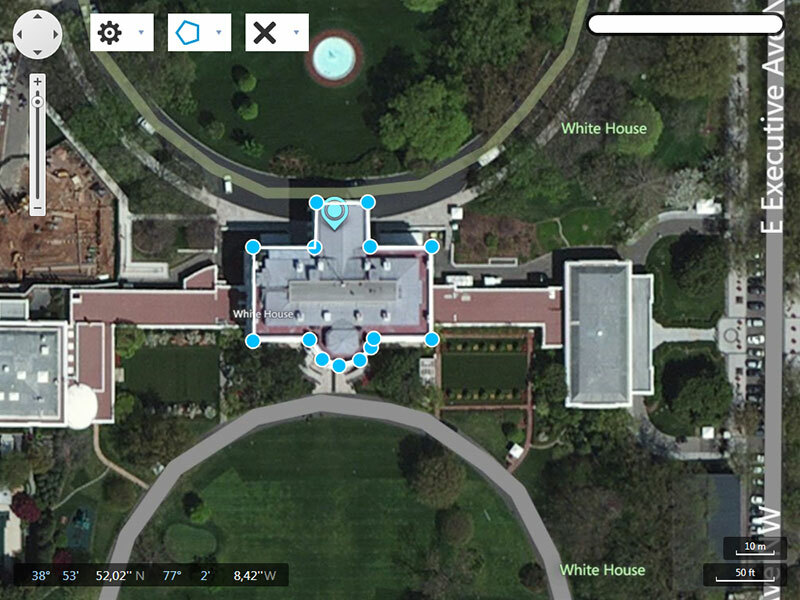 With Map Measurement, you can measure the length with a line or path, you can also measure areas using polygons. You can measure several different measurements on one map. Navigate to a spot on the globe by zooming, or enter an address in the search field of your interest. Select the drawing method which you want to use(the latest used is already selected). On the map, click a starting point for your measurement. Depending on figure type click until you have drawn the figure that you want to measure. End the drawing by right or double clicking or by selecting the end drawing label. Except for the line drawing which ends by the second point. You will see a line or shape on the globe that shows what you are measuring.